Some PS2 games make use of Dualshock's pressure-sensitive face buttons (triangle, circle, cross, square). At least two additional functions can be mapped to the same key in addition to the standard quick, light press (The Bouncer as an example). In Silent Hill 2 and 3 strong and light attacks are selected by pressing the action button accordingly. The majority of users don't have a compatible controller (a PS2 or PS3 gamepad, Dualshock 4 doesn't have analogue face buttons). While remapping would be unfeasible in feature-heavy games such as the aforementioned Bouncer), mapping a single "strong-/medium-press" of a button to another key seems completely viable. Even double- or triple-tap of the same key may work optimally depending on the game (I assume it would in SH2 and SH3). 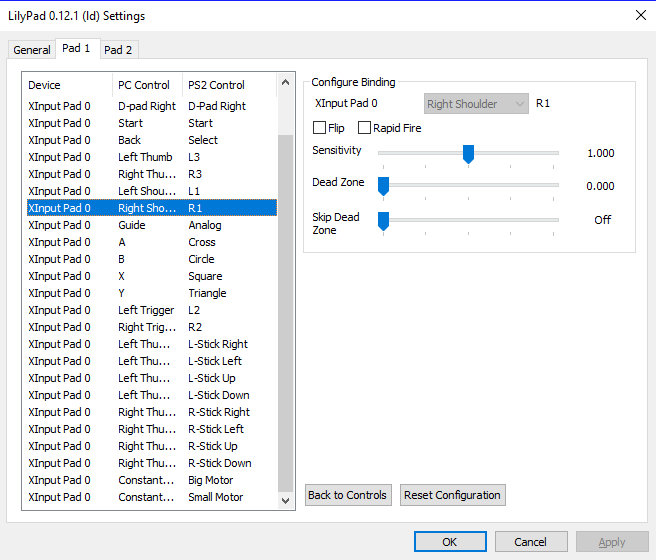 Is there any way to map pressure-sensitive actions to a standard gamepad? I'm fairly sure that racing games often uses analogue acceleration. The racing genre is in low demand with PCSX2 users as new titles tend to replace older ones and many seem to assume that the pressure-sensitive buttons are only used in a handful of games. 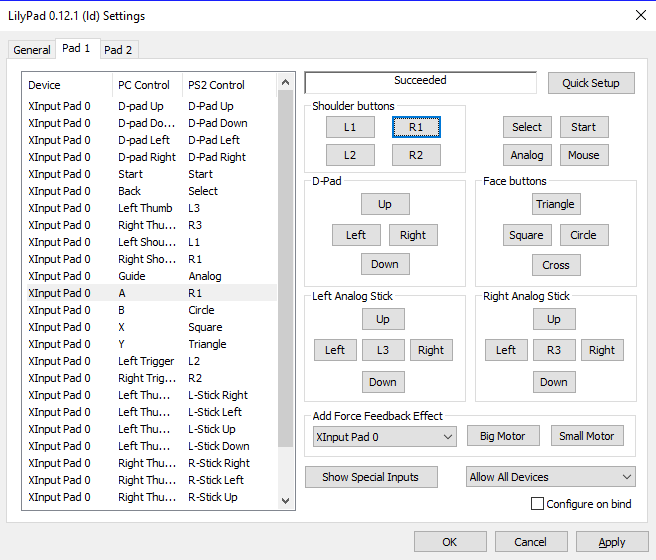 I can't figure out how to remap buttons with a gamepad (I'm trying to remap the right bumper to X, 1.0 sensitivity). EDIT: You must select "back to controls".